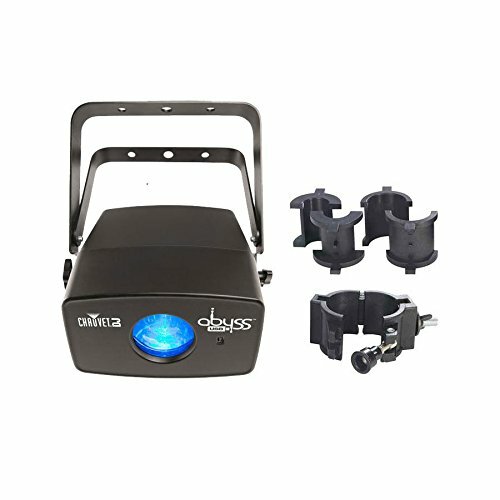 Abyss USB simulates a pleasing multicolored water effect that shines through any environment with or without fog using upgraded, high power LEDs. It can be controlled wirelessly via master/slave or DMX thanks to its D-Fi USB compatibility. A dichroic color wheel and two glass effect wheels are independently controllable to expand design options. Non-DMX control is possible in stand-alone mode from the digital display or optional IRC-6 remote control (sold separately). Save time running cables and extension cords by power linking multiple units. Fits best in the CHS-40 VIP Gear Bag. CHAUVET DJ encourages customers to make safety a priority by utilizing the right clamps and cables for their lighting applications. Made of ABS plastic which won't scuff, scratch or dent truss, the CLP-10 wraps completely around truss for added security and stability and includes removable adaptors to fit different sizes of truss.